The urgently needed UN Security Council reform has been stuck for decades. Without a far-reaching structural change that includes the end of permanent seats and the veto, the Council is fading into irrelevance. But at a time of great power transitions, multipolarity without sufficient multilateralism is a dangerous trend. Therefore, in GLOBAL TRENDS. 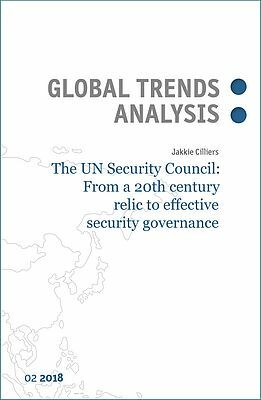 ANALYSIS 02|2018, Jakkie Cilliers calls for a political and intellectual leap to overcome the impasse in UN Security Council reform.